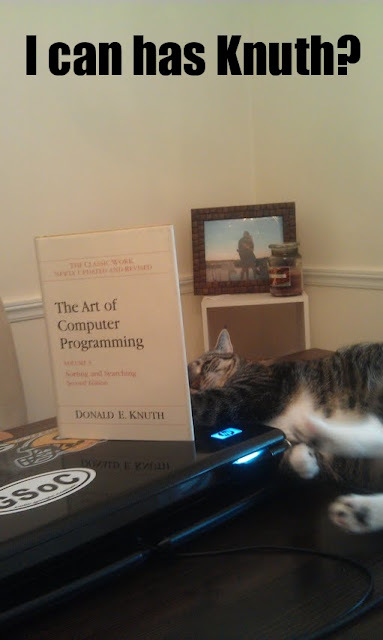 A Computer Scientist's Quest: I can has Knuth? Some of my thoughts and experiences in academia and life. As I was working on my thesis, Misty decided my computer was a nice place to nestle. Then she decided TAOCP was interesting; after all, I was reading from it. My research area is embedded systems focusing on performance and security problems. Red Black Trees: Bottom-Up or Top-Down?